A perfect complement for Slack. Slack is really great at in-the-moment back-and-forth collaboration. Friday is great at creating re-occurring, structured communication loops, giving you and your team clarity about what's going on without all the collaboration noise. 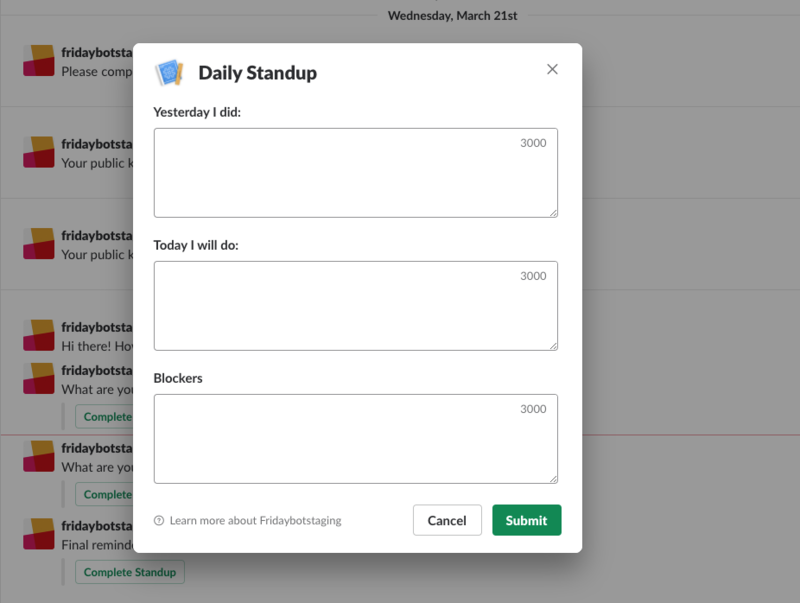 Friday makes it easy to hold asynchronous daily standups with your team without leaving Slack. 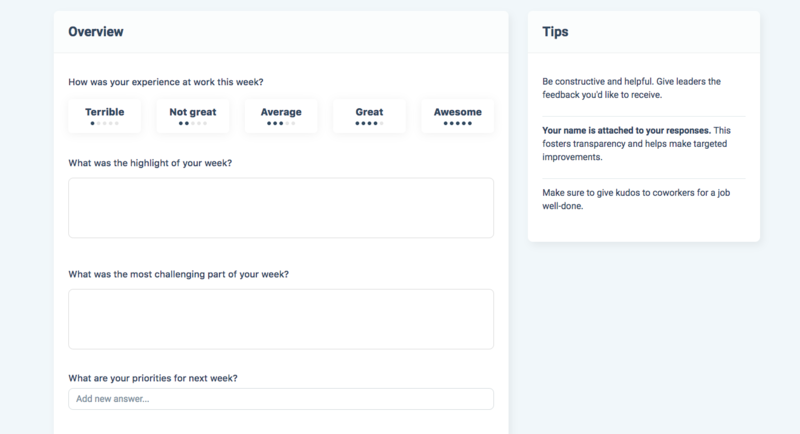 We automatically remind your team to share what they are working on and results are pushed into a channel of your choosing. Results can be easily exported and referenced anywhere. Every week (or two), ask a few quick questions in Slack to understand what's going on with each person on your team. Quickly understand sentiment, what they accomplished, and where they might be stuck. Additionally, surface suggestions for improvement and send recognition to others for a job-well-done. See how to setup the Slackbot for your team.